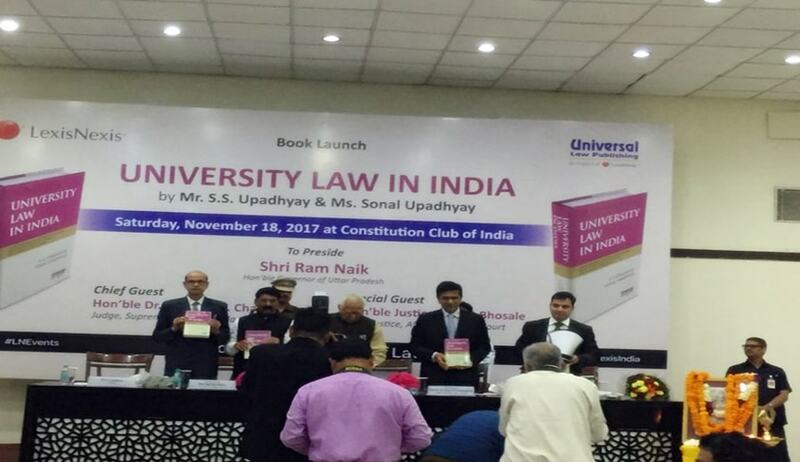 He was speaking at the release of book University Law in India, written by SS Upadhyay, legal advisor to Governor of Uttar Pradesh Ram Naik and a district session judge in the UP judiciary, and his daughter Sonal Upadhyay to address various issues emerging in universities. Expressing concern over challenges like drugs, alcohol, sexual abuses that universities are facing today, Supreme Court judge Justice DY Chandrachud on Saturday said the Indian society solely should not be blamed for it as these problems exist across the world and we should acknowledge and confront them for solving issues. However, there is also dearth of law and literature to address such issues, he said, while releasing book. “Let us not be hypocritical and deny the existence of our problems. We have problems of drugs, we have problems of alcohol, we have problems of sexual abuses, fake universities, fake degrees -- which is not to say that our society has encouraged it, which is wrong. These problems are universal to all the societies across the world. India is no exception to the problem which is across the world,” the judge said. There is absence of university law to deal with complex issues like sexual harassment , counseling etc and there is need to deal with the challenges in universities, he said. Starting his extempore speech in a nostalgic way by recounting his deep association with Uttar Pradesh for three years as a judge of Allahabad High Court between 2013 and 2016, he said universities are not merely the centres of education, but these are the centres for the evolution of our society itself. In that sense, a university represents a “confluence of variety of stakeholders”. “The universities themselves have to face various other problems pertaining to appointment of staff, issues relating to students, admission etc”. Citing Albert Einstein he said education is not learning of facts, but the training of minds to think about facts, Justice Chandrachud said we don’t teach our youngsters to think, but give them a whole lot of information to absorb. He said there is “tremendous” change in demographic profile. There is a change in aspiration, there is also declining acceptance of authority and there is involvement of more women in public life. In such situation, the university represents microcosm in our society. “There is greater involvement of woman in our public life. It’s all for good and I think the role of university represents the microcosm in our society. University reflects the diversity of our society. It reflects the diversity of view point, the university reflects the freedom to think as we want to think, University reflects the freedom to believe as we want to believe, Universities reflects our idea to criticise, idea to reassess, our idea to place our own visions towards the evolution of Indian society,” he said. A University also represents the interest of employees, of administrators, of suppliers, of those who have contacts with the university. The entire arena has changed with the evolution of private universities and university law would help to deal with such issues. As India moves forward, our education structure is going to confront with the relation between the private and public universities. He emphasised the need to strengthen the public universities. Appreciating Upadhayay’s book, which contains 42 chapters and 27 appendices covering all legal aspects of universities and other higher institutions, Justice Chandrachud said this book would not only help the Chancellor, Vice-Chancellor and Registrars of universities, but would also help judges and lawyers in adjudicating disputes. UP Governor Ram Naik, who is the chancellor of state universities, presided over the function.